The first round of consultation for this project was conducted for three weeks and ended on 13 July. As part of the broader consultation process, draft training package components were made available on IBSA’s website and ‘face to face’ consultation workshops were conducted in Queensland, New South Wales, South Australia, Victoria and Western Australia. Feedback was also gathered through webinars and collaborative arrangements with the Northern Territory Training Council and the State Training Authorities in Tasmania and the Australian Capital Territory. All industry feedback will be collated and incorporated into documents for the second round of public consultation scheduled to commence in August. 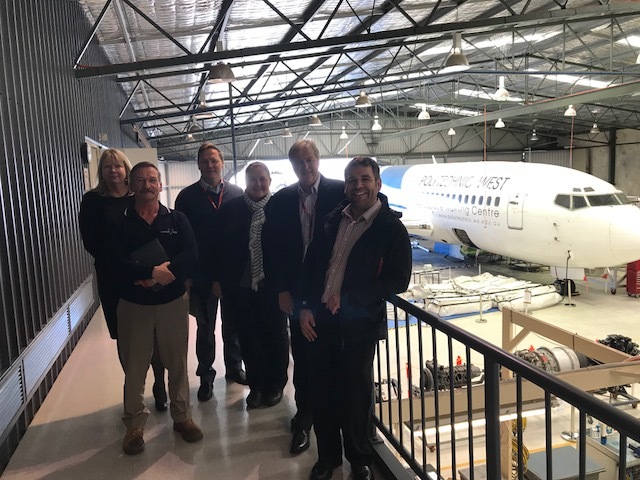 The photo shows stakeholder engagement in WA at South Metro TAFE Aerospace training facility.